You know what? I’m just going to say it. 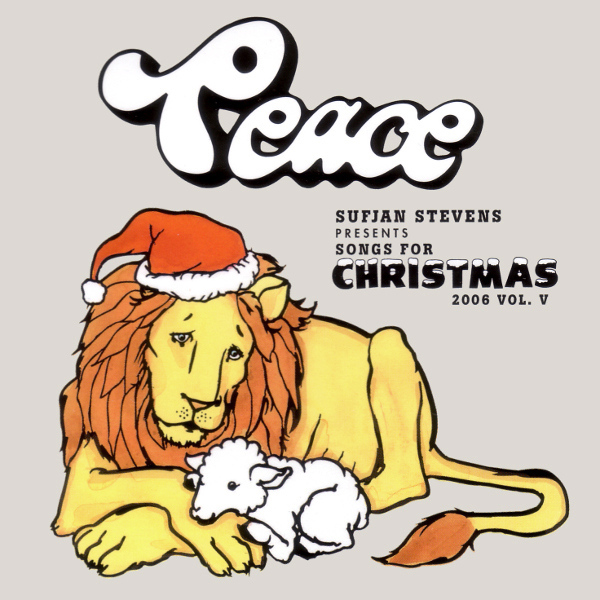 “Sister Winter” is Sufjan’s best Christmas song. Christmas, to me, is waking up early and walking down the stairs quietly, not wanting to wake my parents up. It’s the cold biting at my cheeks and lips as I make the 30-second trek from my car to my parents’ house. It’s the big sledding hill across from the high school at my grandparents’ house in Alberta, Canada. It’s drinking Sprite and eating butter cookies in the NASCAR room at my American family’s house in Bellingham, Washington. There’s a feeling of elation somehow, of peace in the world. Don’t ask me how or why we all collectively feel it, but we do. Sufjan has been my favourite artist ever since my sophomore year of high school. I discovered him when I listened to a mix CD my friend made for me with “Chicago” on it – I was instantly drawn to his soft voice and big band instrumentals. I was in love. Later on, Carrie & Lowell helped me grieve with the passing of my father. My relationship with my father was similar to Suf and Carrie’s, and I found that record perfectly put into words what I’ve thought for so long. That album only solidified my love for Sufjan and helped me cope, accept, and move on. In my senior year of high school, I studied abroad in Sicily, Italy. I was very homesick around Christmas time, as I missed my mom and the snow and having friends to celebrate the holidays with. I remember leaving class, sitting in the stairway eating a panino, and listening to Sufjan’s Silver and Gold. His voice soothed me in a way not even the voice of my mother could, and I cried. Associating Sufjan with Christmas is easy, not just because of his abundance of Christmas songs, but because of his warm personality and style of music. “Sister Winter” begins with an impatient piano, pressing keys repeatedly until Sufjan’s melodic voice enters the scene, stealing all of the attention. When interpreted literally, the song is about Sufjan and a figure named Sister Winter, and how Sufjan knows he shouldn’t be with them, but he is. One of my favourite parts of this song is how you can hear him pressing the pedal on the piano - it gives me an indescribable feeling, like Sufjan is your cool musically talented uncle who plays a show for everyone on Christmas eve after white elephant. Your mom and aunt are sitting together, you and your cousins are texting and trying to one-up each other, but the whole room stops once uncle Suf gets on the piano. The whole meaning of the song is subjective - who is Sister Winter? Are they a real person, or a metaphor? In the lyrics “Oh my thoughts, I return to summertime, when I kissed your ankle, I kissed you through the night” I can’t help but think about the summer described in “The Predatory Wasp of The Palisades is Out to Get Us!” Could it be Sufjan referencing the same summer, where his best friend was bit seven times? Another possible interpretation, and the most plausible to me, is that the song is about Sufjan’s struggle with mental health. The song starts off with Sufjan singing about how he hasn’t been feeling like himself lately - he can’t enjoy being with his friends anymore. It’s well-documented through his music that he’s struggled with these issues for some time. especially after listening to lyrics from Carrie and Lowell’s “The Only Thing”, or in particular, this lyric from one of my favourite songs by him off of The Age of Adz “I Want To Be Well”: “Illness likes to prey upon the lonely, prey upon the lonely, Wave goodbye, oh, I would rather be dead.” This song was, after all, released only 2 years before his interview with Exclaim where he detailed his mental breakdown. Towards the end of “Sister Winter,” the big band sound comes back in a wave and we hear Sufjan belting out alongside his friends wishing us all a Happy Christmas. Could this be representing his persistence to stay happy and healthy, or does he just not want to bum his listeners out? All in all, Sufjan’s “Sister Winter” is a fun-filled Christmas song… Not exactly cheery, but a must-listen for any Sufjan Christmas fans. So have yourself a glass of cranberry wine, stare out into the snow, and think about a past lover. Then put this song on. Trust me. I hope Sufjan (and you) are having a great holiday season. Elizabeth King is a 22-year-old film student from Vancouver, Canada. She is a passionate dual citizen and a lover of carbonara. Besides listening to Sufjan, she can be found writing scripts about relationships, drinking boba tea, or playing PS4. Her Instagram is @elizabethaislyn, and her (embarrassing) twitter is @lil_uwu_vert.